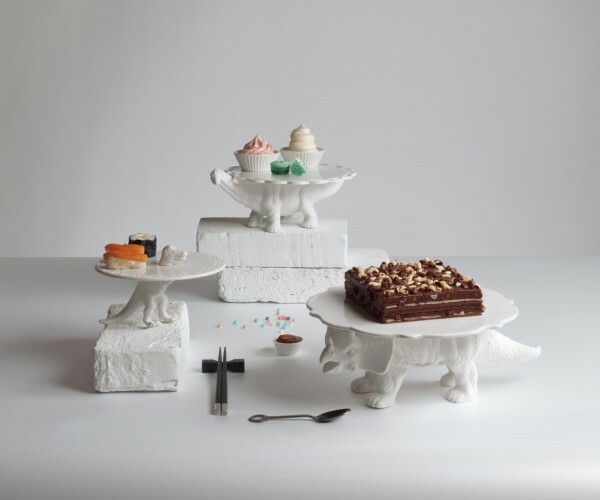 The Italian designer Seletti gets me excited! Every time I find myself in a interior design shop and I point out something cool to the love of my life… we find out it’s made by Seletti. 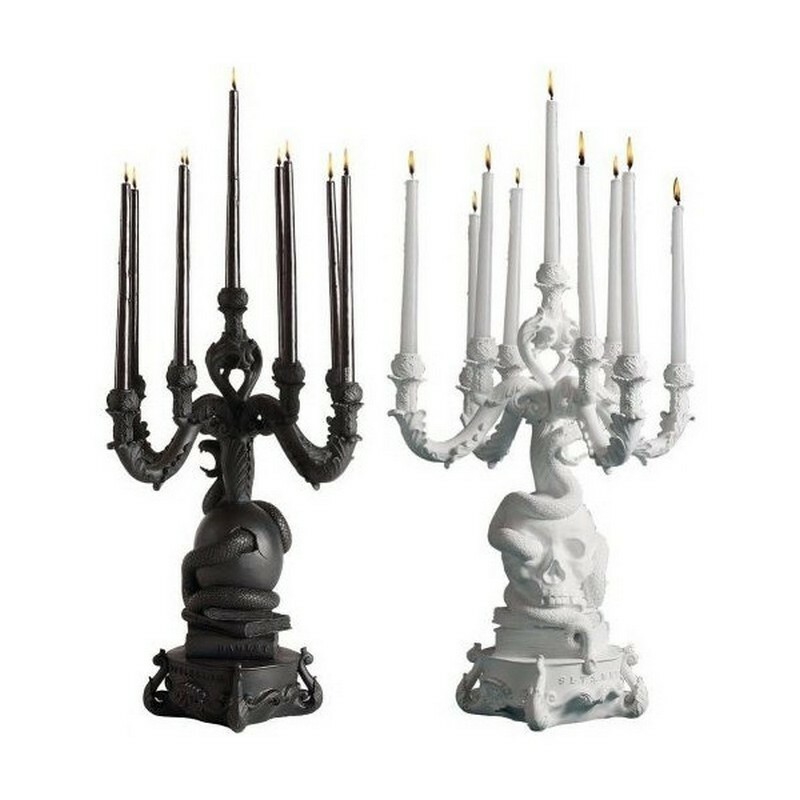 I personally fell in love with this Italian when I saw the candlestick holder in mat white & black. With a skull and and a snake twining through it: great! I was able to buy it because it was sickly priced off and thus have 1 Seletti item in custody. YES! Accidentally I’m right in the middle of renovating my home as we speak, and am therefore throwing out the old and in with the lovely new (if my wallet can bare with me). I would so badly want to incorporate the above cow, pig and goose cabinets and then to top it off fill it with these bizar awesome hybrid plates! Just one ini-mini tiny-winy problem it costs a whole lot of mulah! Good luck with combining three jobs and eating plain bread with butter the rest of your life. Speaking of eating…. How awesome to serve the cakes and pies on these little suckers. From the pre-historic time, T-Rex has returned to party at your house and serve you your sweetness. I don’t care if I’m past my teen years: I want a Dino plate! 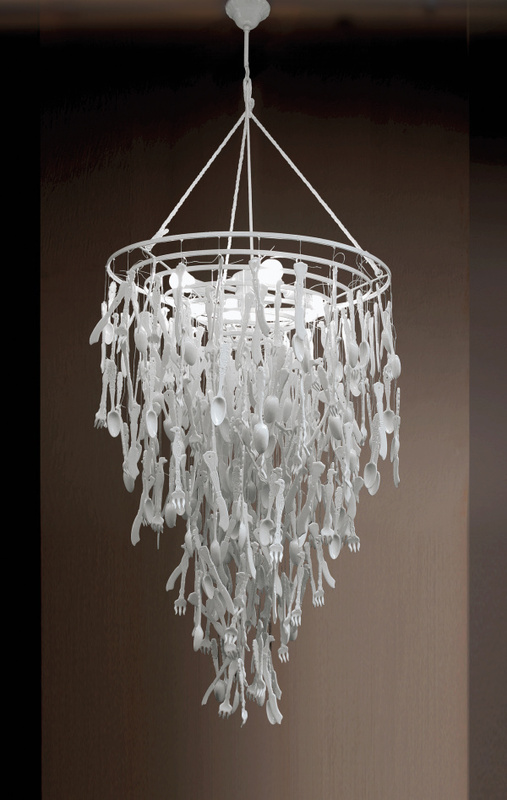 This light will brighten up your day, combining 435 porcelain forks in a huge chandelier. How I’d like to take this home and put it in my kitchen and welcome people in. I do have a slight assumption that this thing is REALLY heavy. I want it all. So Seletti if you ever want to get rid of your stuff: I’m your girl. Seletti, Romano. Sauria. Burlesque Chandelier. 435. 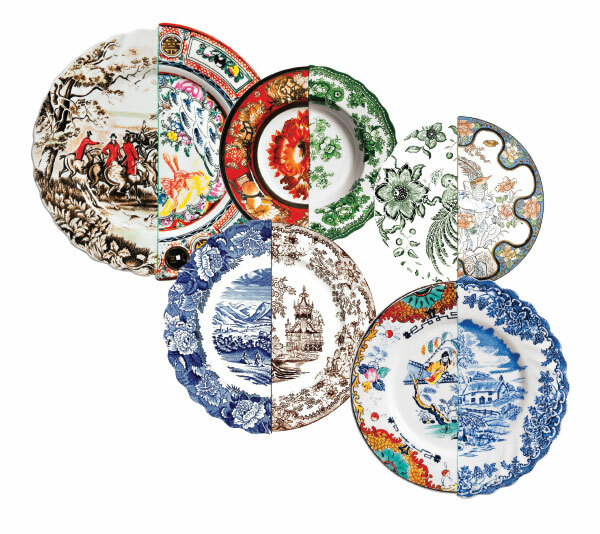 Hybrid Plates. Sending Animals. 8-2-2014. 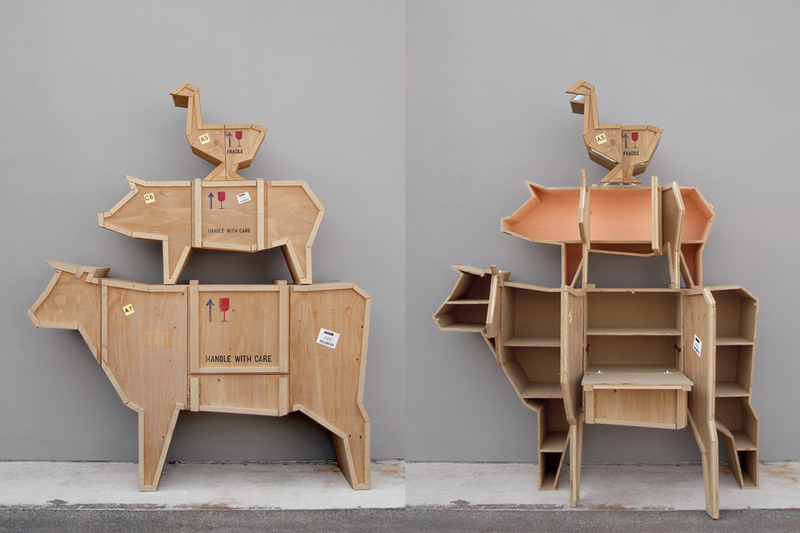 <http://www.seletti.it/index.php&gt;.